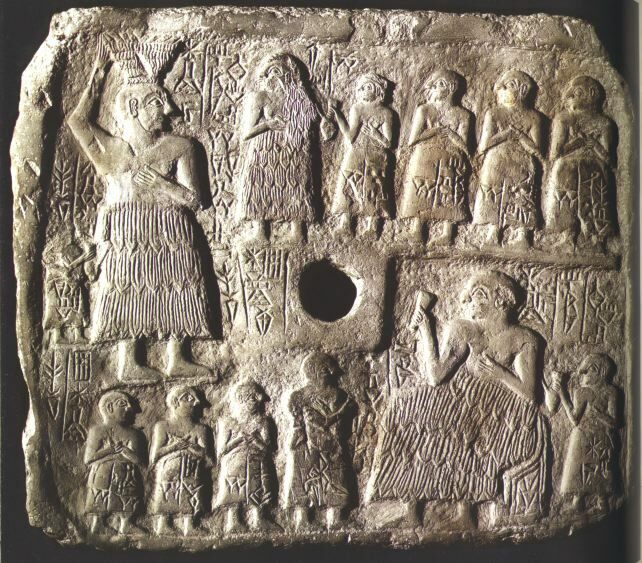 Geography/Culture: Babylonian: Eridu and Lagash. Description: Goddess of water, especially of springs and canals, fertility, wisdom, divination and prophesy; Interpreter of omens and obscure dreams; Judge, each New Year's day, of every persons activities in the preceding year. To whom are sacred: vase containing a living fish. Festival: annual procession of boats escorting a barge in which the Goddess rode. Male associate: [Her father may be Enki, (Ea)]. Description: Goddess of grain; Presider of the harvest; Controller of the fertility of the fields; She Who brings literacy and knowledge of astrology; Prophetic Interpreter of dreams; Most learned of Deities; She Who inspires temple plans; Matroness of architects. worked on: August 14, 1990; February 28, 1991; August 3, 1991.